Today you can find out how much your home is worth with no obligation on us. Compare your home to other homes in your area that have recently sold or are still on the market. We have all up-to-date information in order to provide you with the most accurate home evaluation. When the time comes to sell your home, you need a trusted real estate team that not only understands the Las Vegas Real Estate industry but also your needs. DON'T DO IT ALONE! WE WOULD LOVE TO HELP!! If you are looking for a team to help you negotiate the complexities of selling a home, you have come to the right place! The experience, dedication and knowledge that you will receive here will help ensure a successful and quick sale of your home. - We build strong relationships with lawyers, lenders, other agents, sellers, and more in order to help you in this real estate process. - We do everything from holding open houses to advertising to bring in the right buyer clients for you. - We make aggressive pricing analysis for your home to obtain the best profit. It all begins with our Las Vegas "How to Value a Home" Analysis, which is complimentary to our home sellers. This analysis compares your home to recently sold and current selling properties in your area on the Las Vegas real estate market. We will help you list your home, find the right buyer, and sell for the most amount of money fast. Because we conduct so many real estate transactions, we come in contact with the entire Las Vegas real estate industry every day. So, not only is our network the biggest in the Las Vegas area, but we have worked over and over again to build an effective strategy to tackle any home selling concerns. Working with our team opens doors to many people that you may not have thought would help in selling your home. Our team is partnered with an accredited lawyer at all times to help negotiate short sales, which is free to you. When you have the Shay Hasselmann Group by your side, you get a package deal instead of just a realtor. We provide access to a number of buyer clients by holding Open Houses and advertising across the internet on the most used websites. Because our reach and real estate network expands so broadly we have the ability to find that client that will offer the most amount of money in the shortest amount of time. 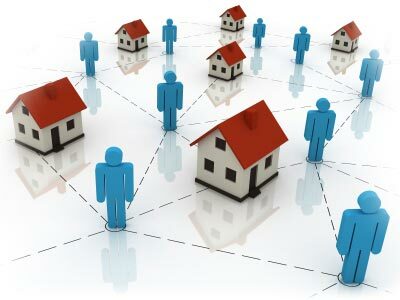 Networking is a big key in selling your home successfully! Are you ready to sell your Las Vegas home is the real estate market? Are you ready to purchase a new home in Las Vegas?